8/30/17 : Once again four North Korean missiles have “failed” in a row as the U.S. and South Korea conduct joint exercises this week. The first volley of missiles to “fail” included 3 intermediate range missiles with one blowing up just miles above the launch pad. The others blowing up consecutively minutes apart in the boost phase of the launch window. This once again fits the profile of an airborne laser system attack. 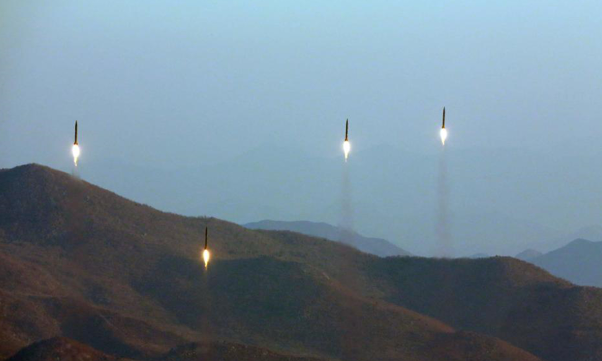 1 Comment on Timeline of North Korean Missiles “Failures” since April of 2017 when Recent Tensions began to Flare with the U.S.
I’ve suspected this for quite a while after I saw successful test footage from Boeing that was about 10 years old a few years ago. I’m sure the tech is vastly more effective by now. I think THAAD is just a cover for our real missile defense system.